Northalsted Market Days claims to be the biggest two-day street fair in the midwest, packed with arts and crafts, food vendors, and three music stages featuring the likes of Lynda Carter and Wilson Phillips. Find out for yourself today; the fest takes place on Halsted between Belmont and Addison. The Chicago Hot Dog Fest, which takes place at the Chicago History Museum, features eight different interpretations of our national food. Taste for yourself and determine whether Chicago's really is the best. There will also be games, live blues, and a scholarly discussion of American hot dog culture. 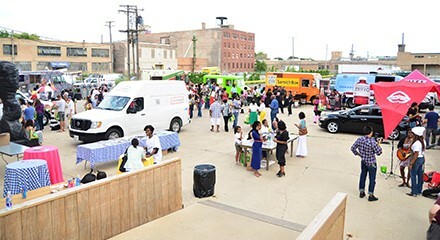 At Street Food Artistry, local food trucks including Curried, Jerk312, and the Getta Polpetta accompany a fine-art exhibit featuring work by Mika Horibuchi. Jetta Bates hosts.